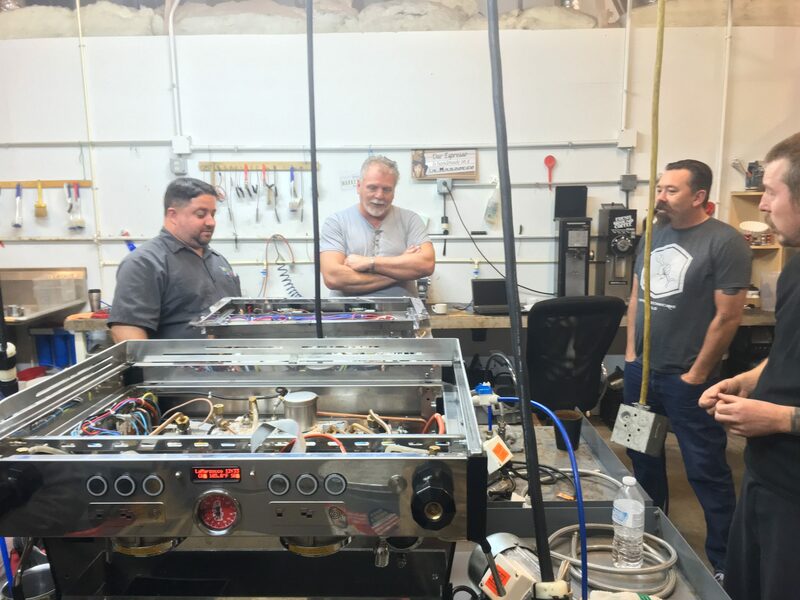 La Marzocco Tech Training: just as good as their machines! 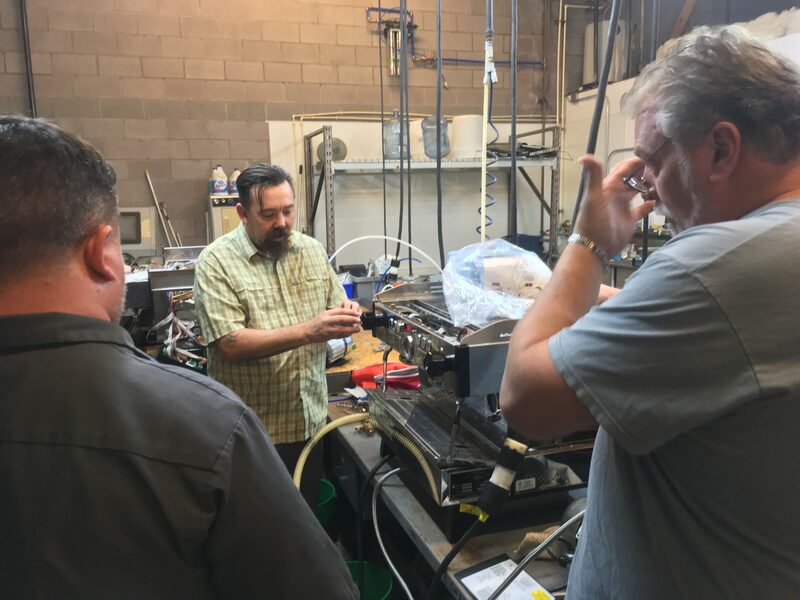 La Marzocco recently put on a Tech Level One training course where I work, and I had the privilege of having my time to attend paid for by my employer, as he also opened up the shop and made the training available to other various coffee techs. Whatever the final cost, I feel that my boss got his investment back tenfold! Our trainer Shad was awesome! A very hands-on, and method driven course. 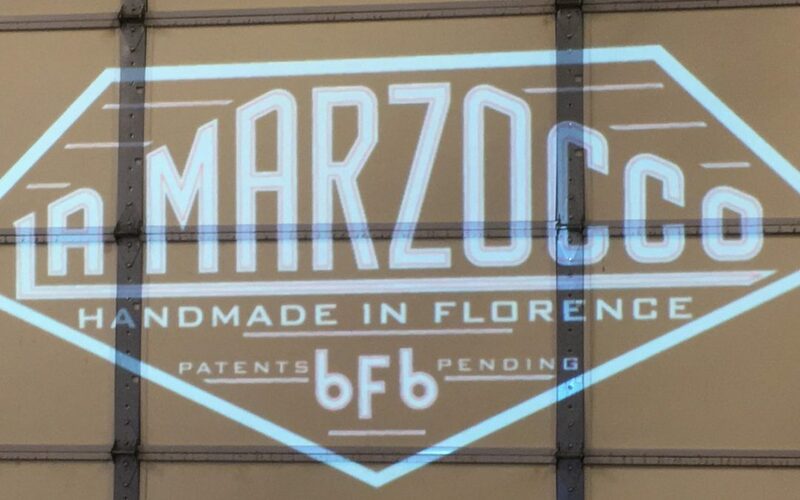 We learned about the history of La Marzocco, as well as the philosophy behind the engineering. La Marzocco makes sure every part fits, and locks in. There is no room for loose parts, what there is room for though, is your hands as you work on the machines. As techs wrenching on espresso equipment, this is a very big deal for us. It is nice to have space to properly snug up parts and not beat your hands up working on the equipment. This also saves time, money, and frustration. By the end of the course we were fixing broken down machines as if we were on a service call, or, as is my specialty, having this equipment on my work bench in much need of some TLC. I also learned how to find the source a problem, and decide the best course of action, following it through to the end result without getting side tracked on other perceived problems. The example I had was a machine not heating properly, and the water flow coming out of the group heads was off. The training provided showed me that it was not a water flow problem, but rather an electrical one. The ribbon cables were crossed, and the heating issues were tracked down to a small wire that was not properly put in its place, and was not giving the computer the signal to heat. A month ago I would have never bother to look at the computer, but with this training, I felt confident enough to do so, and found the solution to the problem in a fraction of the time. Shad also train us on how to complete a rebuild kit for all the La Marzocco machines out there. 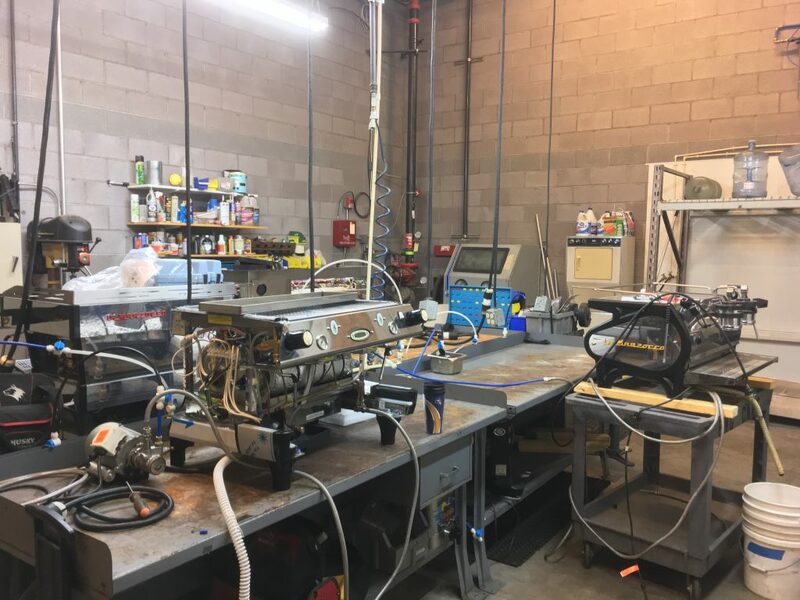 How to rebuild steam wands, and hot water heads, how to put O rings in group heads, and make sure the adjustments are spot on, the debit flow and what to look for in the performance of the espresso machine. How to trouble shoot electrical issues, and what to do, how to use your mil meter properly, a device I had been uncomfortable using until this training. For me, the mystery of espresso machines has been cleared up, and my degree of confidence has gone up dramatically. Great piece of info. Where did the course take place and how much it is? Is it in italian or english? The course took place in Mesa AZ and it was done in english as for the cost, I don’t know yet.